New Delhi: External Affairs Minister Sushma Swaraj has once again extended her helping hand and granted a visa to a one-year-old Pakistani girl to undergo open heart surgery in India. Swaraj announced this on her Twitter handle after the Pakistani girl’s mother, Hira Shiraz, had sought the minister’s help for the early processing of her daughter’s visa which she had applied in September. 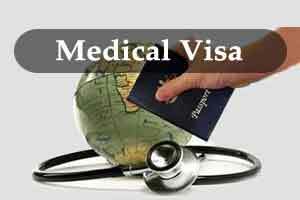 “We are giving visa for the open heart surgery of your one-year-old daughter Shireen Shiraz in India,” Swaraj said. Earlier, Hira had urged Swaraj to approve their pending medical visa request for her daughter’s open heart surgery in India. “Ma’am @SushmaSwaraj this is humble request to approve our pending medical visa request of my 1year daughter for her open heart surgery,” Shiraj tweeted. The EAM had earlier also granted visa to a Pakistani national for medical treatment in India and won many hearts for her kind and generous gesture.